They lived in a lonely, nowhere town. A goodbye place, a place of new beginnings or endings. It was a rural place full of dirt roads, and a familiarity that could provide comfort and peace of mind. Sally had fallen in love with and married her best friend Christy. He had always inspired her to be a better person, he was her best friend and she loved the laughter that danced in his blue eyes. He had an amazing compassion and love that could not be described aptly in words. In their little house they shared a life together. They also had a cat named Dragon. He was white and black with a sweet temperment. Yet he had a bit of a temper, thus the name Dragon. He was well behaved, most of the time. When Sally had her daughter Joesy, Dragon was very curious about the baby. Yet he didn’t harm or hiss at her. He simply seemed like a guardian angel. They quickly became best friends. It was a rare occurrence to see the little girl without the cat. They ate together, played together, slept together. The pair were inseparable, and it warmed Sally’s heart to see that her best friend had taken so well to her daughter. Sally was dusting one day when her three year old daughter spotted an insect on the window. 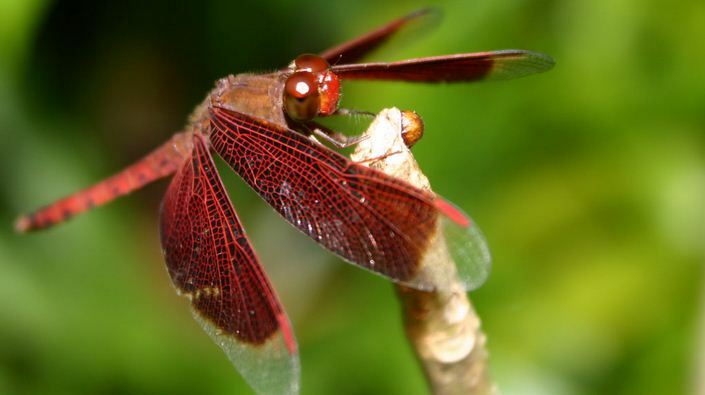 “A dragonfly,” Sally murmured, smiling. Sally couldn’t help but laugh. A catfly? Well, that would certainly be a sight, indeed. It reminded her of those wacky Saturday cartoons she used to watch as a kid. She imagined one of them might have something as strange on there as a “cat” fly. Shaking her head, she returned to her work, watching fondly as Joesy and Dragon played. Four years later when Joesy was seven, Dragon died. Sally was just as heartbroken as Joesy. She had known he was getting older, but she hadn’t really imagined life without the cat in it. He was such a sweetheart and good friend and companion. She knew that there would always be a special place in her heart for him, and she knew that the pain may not be as great for Joesy one day, but she knew that she would always miss him. It was that day she purchased her first dragonfly necklace. She knew the insects would always carry a special significance to her now. One that brought to her fond memories of her daughter and her Dragon. *Author’s note: Written in memory of my cousin’s sweet Dragon. May he rest in peace in kitty heaven.